In search for an interesting and unique venture in the food services industry? Venturing in a food truck business is a smart idea for you then. What is distinct on this venture is the Swedish pancake that is being offered to customers in a food truck scene. The pancakes are specially made with sweet and savory toppings, which is a secret that adds to the fun. When you have already decided to purchase the truck, you will be guaranteed to have the truck in its best condition as it is mechanically upgraded, has great paint job, and is compliant to occupational health and by-laws. The truck is actually remarkable in the Lower Mainland of Montreal. Note that the daily operation of the business is at a minimum considering its low cost, any waste and small investment. Minimum waste of the pancakes is realized, considering eggs, milk and flour as the base or main ingredients. Moreover, all the necessary documents are readily available for inspection purposes. This property, which is located in an area with high foot traffic which is surrounded by many residential buildings and other establishments in Montreal, QC, is now available for lease. Lease of the business is to be discussed upon request. The owner sells the business for his family and businesses outside Quebec. Contact the seller for the availability of our owner financing. The owner is willing to provide financial assistance to the new owner. 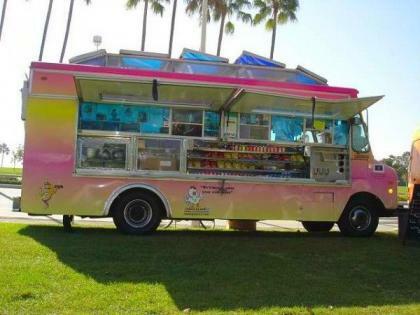 This Swedish pancakes food truck can be relocated should the new buyer want. If you really want this type of business, just contact the business for possibilities of discussion. Always keep in mind that doing business through the Swedish pancakes food truck business is the best for you. Just contact us for more information about the property and the business as a whole. We will be more than happy arrange an appointment with you and attend to your related queries. It does not employ any working yet. It has been in the market for more than two years. We provide the right buyer with full support and other information. We also offer complete support and training in making pancakes and their toppings. The food truck business has high level of opportunity for potential expansion and growth and plans to increase its business hours to gain more income. It does not have immediate competition.